There is no excuse for not practising water sports in Madrid. A few kilometers from the city, the first nautical indoor station is located in the Sierra Norte. Visit and carried out some of the many activities offered by the area businesses. For most of them there is a requirement: know how to swim! Whether you attract the sport but don't have no idea of how to practice it as if you're an expert, in the Sierra Norte nautical station you can enjoy it. Sign up for a class or perfect your technique. And if you don't have your computer, There you can rent everything you need so that you only have to worry about you hop on the table. If you like new challenges, Here you will find one: paddle surfing, an original sport that combines rowing and windsurfing. 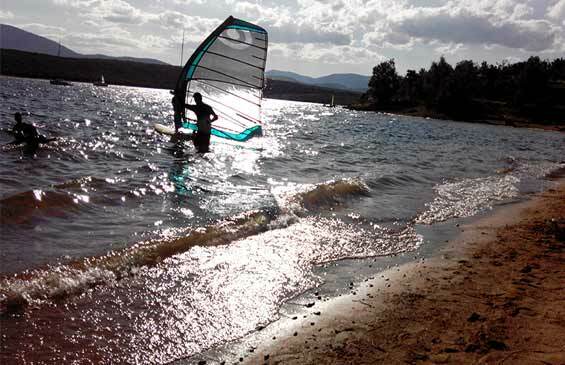 Go paddling on your table and enjoy the water sport in the mountains of Madrid. Another good way to enjoy the facilities of the first nautical station interior in Spain is rowing. 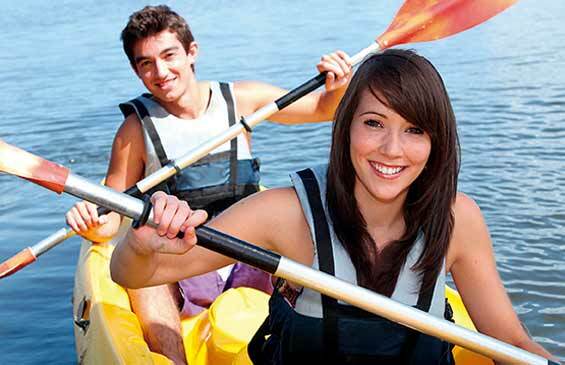 Whether in a canoe, in a kayak or a canoe, the waters of the reservoirs of the station are waiting for you. At any time of the year you can find you with intrepid travellers, groups of friends and families with children enjoying water sports. Sailing the waters of this station and enjoy its beautiful scenery fancy? Cervera de Buitrago is your site. Settle on the sail, light or cruise, You can choose between water baptism, If it is your first contact with the world of sailing, a class for beginners to learn the first maneuvers or training to become a true sailor. Or simply, salt to sail in one of their boats of rent. If you don't have the title of pleasure craft pattern, be sure to be accompanied, It is mandatory to be able to rent it. 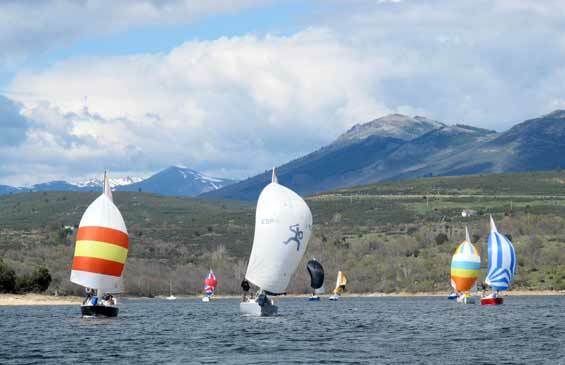 Whatever your sport, We recommend you visit the nautical station Sierra Norte de Madrid, not only for their activities but by its wonderful environment of pure nature. Water is an essential element of the Sierra Norte, It is part of their landscape and offers us a unique opportunity to go canoeing in its reservoirs. 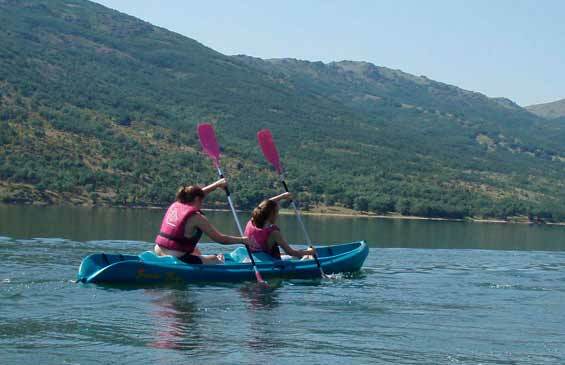 Navigate with the backdrop of the greatest heights of the Guadarrama national park or encircle the walls of Buitrago canoe is a unique experience that you can only live in the Sierra Norte. Lozoya, El Berrueco and Cervera de Buitrago.